Hey employers, don’t worry if that job applicant lacks a high school diploma. It’s no big deal. Really, what’s the difference between an individual who has completed high school and one who dropped out? Why are you being so picky and unfair? This recent EEOC discussion letter targets an employer’s high school diploma requirement as a job qualification standard by suggesting that the requirement may “screen out” an individual who is unable to complete high school because of a learning disability. As if we needed the EEOC to further demonstrate how out of touch the agency is with the things we need to face up to in this business climate, here they are giving employers yet another potential problem to address. Background screening, which includes education verifications, is in place to help employers better predict how an individual will perform in a particular job. If an individual is unable to complete high school despite ADA accommodations schools are required to provide, is it not reasonable for an employer to assume that despite reasonable accommodations the individual is also likely to fall short on the job? Ensure you have a clear business necessity. As with any type of background check or screening mechanism there needs to be a clear business necessity behind the screen. One good and common business necessity is the need to build a safe and qualified workforce. Another might be to reduce your hiring risks. Make sure the background check is job-related. 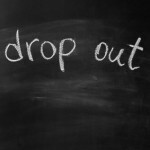 If you’re requiring a high school diploma for a given position, ask yourself why? What bearing does the diploma have on one’s ability to perform the job in the manner required? You’ve got to be able to make the correlation. If you have a job that requires good reading and writing skills or other problem solving skills, you may be able to prove job-relatedness by requiring a high school diploma. Apply the same criteria consistently across all applicants for the same position. In other words, you can’t require a high school diploma for one person but not for another when both are applying for the same job. The criteria need to be consistently applied. Ah, yes. It’s a great time to be an employer. 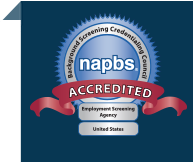 If you believe as we do that employment screening is essential to making better hiring decisions and managing hiring risks, and you want to work with a background screening company that can guide you through the compliance maze, give us a call. We’re here to help you build a better workforce, one good hire at a time. Or speak to someone right away by calling (866) 276-6161.